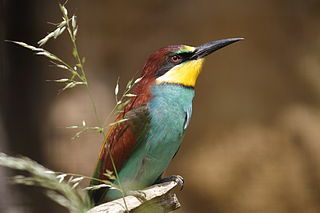 The Bee-eaters are going, as sure a sign of the changing seasons here as the sudden departure of Greek tourists. The birds fly high over Skopelos making their distinctive call which my bird book describes as "quilp" and indeed it is the sound you hear long before you see them heading south back to warmer climes. I, too, am on the move, even if only temporarily, but unlike the Bee-eaters I shall be heading north to the UK. The Bee-eaters are after winter warmth, something which I fear I am unlikely to experience during the next fortnight. I have been advised to bring layers of clothing and I am more than a little daunted by the number of people I see on Twitter bemoaning the cold and talking of switching on their heating. As I write this I am wearing shorts and a T-shirt, my standard items of clothing for so long (not the same ones, you understand) that I can't remember the last time I wore a pair of long trousers. Temperatures today are in the high 20s and it is very humid, although none of this seems to have persuaded the Bee-eaters to put off their departure. When I get back to Gatwick tomorrow evening I suspect the temperatures will only just have crept in to double figures, but then as the saying goes "there's no such thing as bad weather, just wrong clothes", so layers it is. Aside from the weather, I'm not really sure what to expect. It's more than a year since I set foot on UK soil and that time has been spent only on this island with its one-and-a-half main roads and intermittent ferry service. I don't think I'm putting it too strongly when I say I am quite troubled at the prospect of huge numbers of people rushing around. In addition, for the most part these will be people I can understand. My Greek is coming along painfully slowly. When I hear Greek people talking near me, rather than to me, it is a bit like listening to a badly tuned radio, I get some of it quite well, but I can just as easily let my focus drift and lose myself in my thoughts. No such chance when it is your native tongue and you are quite likely to find yourself privy to a conversation about the rubbish on last night's TV or the goings-on at the local pub. I suppose if these are the biggest problems I encounter over the next fortnight I'll have little cause for complaint. As for the Bee-eaters, we should see them again around April/May indicating that summer has returned. I may not speak Bee-eater, but I do understand what they say. A Bee-eater practising saying "quilp".